Saudi Arabia is once again fueling a global oil feud by cutting crude oil prices. It's the second time in a month the kingdom has grabbed the headlines in the oil markets. 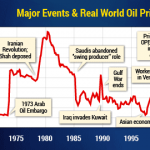 That means the Saudis are now trying to fight a crude oil war on three different fronts: against Russia in Asia; with OPEC's over-producers like Venezuela and Kuwait; and an escalating battle against U.S. unconventional (tight and shale) oil. 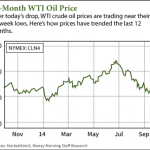 Crude oil prices were down sharply again this week, reaching their lowest prices since January 2012. Thursday, West Texas Intermediate (WTI) crude oil for November delivery dropped to $80.01 a barrel. That's a 23.4% dip from the three-year high it set in June. Brent oil prices were down 4.3% to $85.04 Tuesday. That was Brent's biggest one-day drop since September 2011. Why oil is down today: Crude oil prices continue to plummet today (Wednesday) as West Texas Intermediate dropped to $86.83 per barrel for November delivery on the New York Mercantile Exchange. 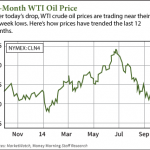 That was WTI's lowest price since April 17, 2013. Brent crude was trading at $91.51 per barrel just after 1:00 pm. Crude oil prices fell again early this morning (Thursday), as West Texas Intermediate (WTI) crude dropped as much as 2.8% to $88.18 per barrel for November delivery. That's a 20% drop from the three-year highs WTI set in June, and just above the 52-week low of $87.85 futures contracts set in January. Brent crude oil prices were down to $92.45 per barrel, or 1.8%, shortly after 9:30 a.m. today. Currently, WTI is trading just above its 52-week low of $87.85 that it set in January. According to MarketWatch, oil ended the quarter down 13%, which was its worst quarterly performance since 2012. The price of oil has climbed slightly this week with West Texas Intermediate (WTI) hitting an intra-week high of $95.17 for October delivery today (Friday). Despite this week's price hike, WTI prices are still well below the three-year high of $105 a barrel they hit in June. But Money Morning's Global Energy Strategist Dr. Kent Moors says a "great danger" in the region could send crude oil prices much higher. 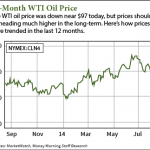 Despite current geopolitical tension, crude oil prices have remained steady. This dynamic tells us two things. First, traders are discounting the impact of geopolitical tensions in Ukraine, Gaza, and Iraq on overall availability. 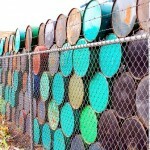 Second, other hotspots are having an immediate knock-on effect when it comes to crude supply. WTI oil prices were down this morning (Wednesday) to a low of $97.06 for September contracts, after the Energy Information Administration (EIA) reduced its 2014 price forecast yesterday. Citing increased oil production in the United States, the EIA dropped its 2014 forecast for WTI oil prices to $100.45 per barrel. 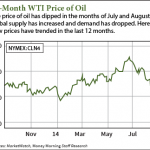 In July, the EIA had projected a price of $100.98 per barrel. But according to Money Morning's Global Energy Strategist Dr. Kent Moors, oil prices will be heading much higher in the long-term. Two events this week indicate the situation in two global hotspots is getting worse, and both will have a significant impact on crude oil prices. 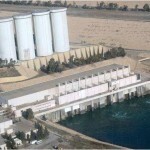 First, the Islamic State, the terrorist group formerly known as the Islamic State of Iraq and the Levant, attacked the Mosul Dam. Second, the mayor of Kiev in Ukraine turned off the hot water. Oil prices today are approaching $107 a barrel as offenses by Islamic militants in Iraq are causing concerns that Iraq's oil supplies and exports could be slowed of entirely cut off. 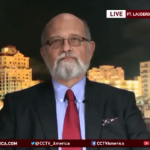 The crisis has consumers worrying how high the price of oil will go and how U.S. policies will be impacted. 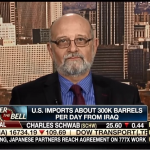 Money Morning's Global Energy Strategist Dr. Kent Moors appeared on FOX Business' "Countdown to the Closing Bell" yesterday (Thursday) and discussed the potential collapse of Iraq and how that could impact the price of oil and U.S. consumers.